MEET the PRODUCERS — It’s Anahita! Have you heard the saying, "It takes a Village?" I sure have....and IT SURE DOES! I'm SO grateful that in Fall of 2017 I met the amazing ladies of The Producers through my work with the Twin Cities Film Fest where they also made magic happen as the fest's media producers. After the festival wrapped up, we met for coffee in South Minneapolis (at a super cute coffee shop any parent would love, Sovereign Ground) where these two gals and I chatted for a while and brainstormed how we can work together. It was that same day when we talked about working on Season 3 of my YouTube series - HitaTalk! From that point on, we put our heads together and got right to work on crafting a spectacular season! I have to say, I was immediately reassured that executing my vision of all that Season 3 was shaping out to be in my mind would actually be attainable...all thanks to the ideas, skills and dedication of The Producers! I'd LOVE to share with you more about who these lovelies are and their work. Without further adieu.. Welcome to the team Wonder Women! Meet the Wonder Women of The Producers! 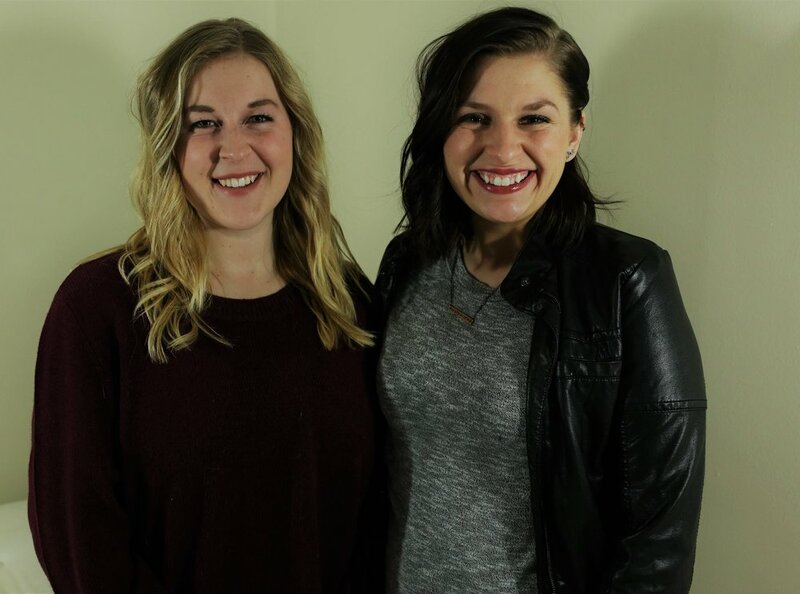 The Producers is owned & operated by the dynamic duo, Ellie Drews and Kirstie House. These lovely ladies grew up together and have been friends since the age of 6. They continued their growing together through their education and are both proud graduates of Bethel University. They formed The Producers Short Films LLC, also known as The Producers about a year ago. Their skills and strengths cover just about all mediums of film ranging from weddings, promos, music videos, interviews, and narrative films. And NOW a YouTube series! Take a peek at their super adorable & spunky promo video. Totally my kind of gals! Ellie is a freelance videographer and photographer. She attended Bethel University where she achieved her Bachelors degree in Media Communications and Film Production/Studies. Some of her featured projects include: 2017 Minneapolis 48 Hour Film Challenge Best Film, “Contractions” (Assistant Camera), Minne Mini Film Project film “The Notification” (Director of Photography). What are you most looking forward to during HitaTalk? I am most looking forward to meeting strong, independent and successful women in the Twin Cities and to hear their stories. What are some "Ellie Fun Facts"? - My favorite place to be is in the Colorado mountains, hiking and taking Polaroids. - My favorite food is either sushi or popcorn. Kirstie is a freelance producer, assistant director, and art director. She attended Bethel University where she earned her Bachelor's degree in Media Communication with an emphasis in Production. She spent a semester in Los Angeles studying film at Los Angeles Film Studies Center (LAFSC). During her time in LA, she specialized in production design and acting. She now does freelance video work, and is the Media Producer of the Twin Cities Film Fest along with Ellie. What are you most looking forward to about HitaTalk? I am excited to meet the featured guests on HitaTalk and support other women from the Twin Cities who are working hard at reaching their goals and being successful and inspirational. I am also excited to work on a web series since we have never had the opportunity to work on one before! What are some "Kirstie Fun Facts"? - I love art, film, photography, and cooking.